Bitcoin is currently down 3.25% after a 4.8% drop in the past 24 hours. Monday’s price decline marks a 6-week low for the world’s largest cryptocurrency. Speaking to Business Insider, Greenspan says there’s no need for overreaction. 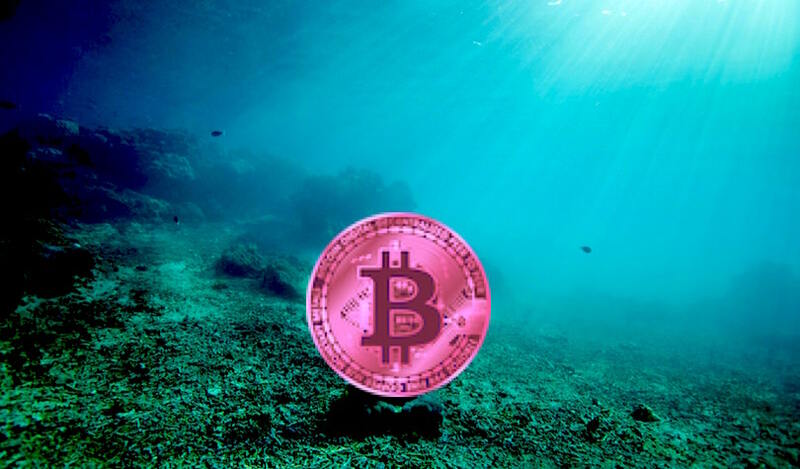 Crypto exchange Kraken showed Bitcoin trading at an intraday low of $3,396.80 on Sunday, Bitcoin’s lowest level since mid-December. Dragging all of the major altcoins with it, Bitcoin’s slide triggered a crypto sell-off that shaved $5.7 billion from the total crypto market cap, which dropped to $113.1 at time of writing, from $118.8 billion. Hedge fund manager and economist Mark Dow says Bitcoin’s current price action is a bearish sign that will play out in the short run with more pain ahead. 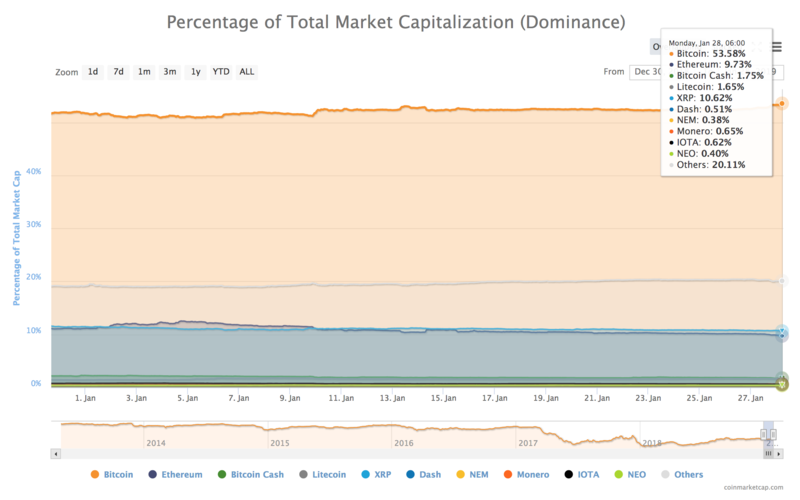 Despite BTC’s decline, Bitcoin dominance stands at 53.6%, up from 51.7% at the start of the year, and up from 52.4% one week ago.